If you've been sitting on the sidelines, we've got good news and we've got bad news: Things are finally slowing down. But they might not slow down fast enough for your liking. 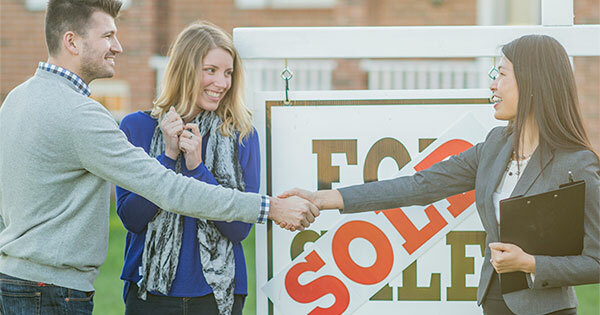 "If your resolution is to buy a home in 2019, you’ll have some challenges to contend with, but also some opportunities," says Danielle Hale, realtor.com's chief economist. But there's a catch: Not everyone will be able to afford those opportunities. That’s because the markets seeing the most increases in available homes tend to be more expensive, Hale says. That's not nothin'. And if you can get in the market before those moderate increases, all the better. "We do still anticipate rising home prices, particularly for below-median-priced homes, so buyers in that price range may have some incentive to buy sooner rather than later," Hale says. "As rising costs raise the bar to homeownership, some would-be buyers will be knocked out of the market, so that remaining buyers may have less competition to contend with than they saw in 2018," Hale says. In fact, rates have been falling—perplexing the pros but creating a prime opportunity for home shoppers. Rates did tick up slightly last week—for the first time in 2019—to 4.46%. But that's still historically low. "That’s definitely a huge opportunity for buyers because it drastically improves affordability," Hale says. "And I think that if these low rates persist for a little while, then we’ll actually see stronger sales than we originally forecast." "Lower mortgage rates will get buyers off the sidelines," adds Ali Wolf, director of economic research at Meyers Research. "Consumers should take advantage of the returned purchasing power, and in fact, we're already seeing early 2019 data that suggest they are." But don't get complacent, Hale warns: "I do think that the long-term direction of mortgage rates is going to be back up. We’ve still got a strong economy." But bear this in mind: Rents are rising, too. In fact, they very rarelydecline, Hale says. And while buying a home is generally going to cost you more in the short term than renting, you have to look at the bigger picture. Buying means you're building equity—and not forking over your hard-earned dollars to a landlord. "The challenge will be finding a home that fits needs, some wants, and still stays within the monthly budget," Hale says. If you can afford to buy now, you'll thank yourself in the long run—and whenever your friends get their annual rent increases.